Please contact us to learn more about advertising with Equitrekking. Equitrekking and Equitrekking.com inspire and enrich a dedicated, affluent audience with lifestyle and travel experiences connecting culture, cuisine, equestrianism and history. 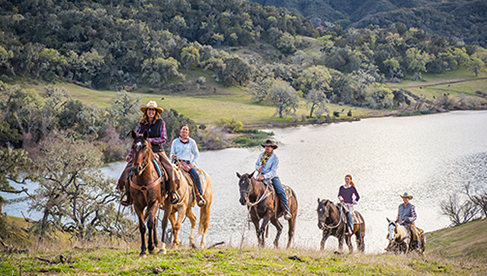 Equitrekking’s current 33 Emmy Award winning episodes broadcast to 94% of the U.S. on PBS stations and on Create TV, a Public Television lifestyle and travel cable channel that reaches 84% of U.S. TV households. Host Darley Newman wins over viewers with her upbeat outlook on adventure and natural ability to connect with audiences. An award-winning author, magazine columnist, blogger and speaker, Darley also hosts segments on Starz! Networks Encore Channel and Ralph Lauren TV, writes a popular column for Practical Horseman and True West magazine and is regularly featured in the media and as a speaker. Learn more about Darley. Consistent ratings wins have outperformed Discovery, Animal Planet, and Travel Channel. Equitrekking and Equitrekking.com have been featured in USA Today, New York Times, Washington Post, Ralph Lauren and Bloomberg BusinessWeek. View Equitrekking news and press. Filmed in stunning High Definition. Equitrekking broadcasts on international networks in over 65 countries including Japan, France, Italy, Russia and Turkey. Dedicated, affluent audience who are active and educated. Companion coffee table book published by Chronicle Books. 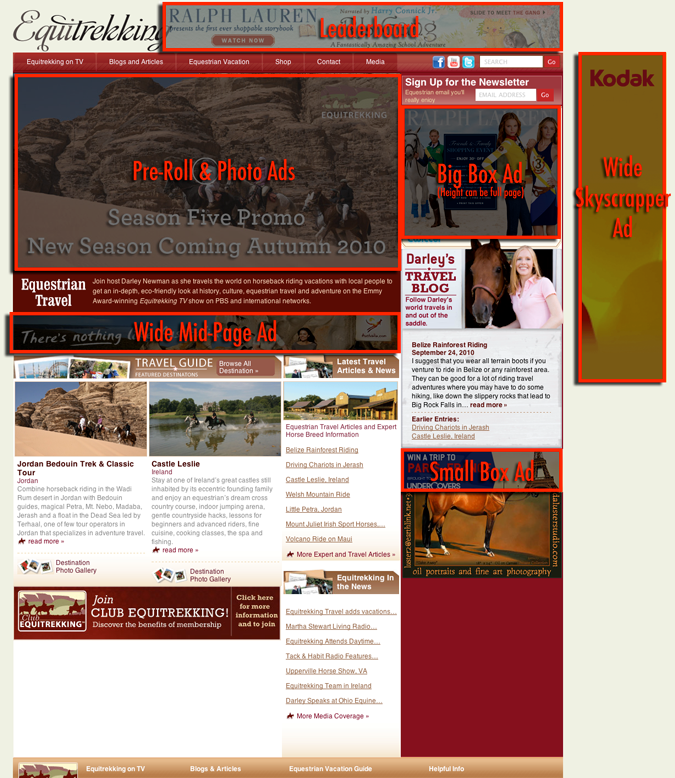 Promotional partnerships with Ralph Lauren, Voxel.net, and DiscoverHorses.com. Equitrekking.com is promoted four times during each episode on TV, including a 15 second direct call to action, driving traffic to Equitrekking.com on a consistent basis. Awards: Daytime Emmy Award for Outstanding Photography. Three Daytime Emmy nominations for Oustanding Special Class Series & Outstanding Photography. Daytime Emmy nomination for Outstanding Special Class Writing. Merit Award for Best Travel Book and Best Travel Broadcast 2009 & 2010 from the North American Travel Journalist Association. We have organized Equitrekking.com into core content categories based on our visitor’s online user behavior. Homepage Videos: Stunning, professional video clips from the popular, Emmy winning PBS series, including never before seen outtakes and footage not found in the PBS series. Darley’s Blog: Updated daily with popular host Darley Newman’s perspective on travel, equestrianism and life. Photo Gallery: Stunning galleries from Chip Ward, Equitrekking’s award-winning photographer from global destinations, including never before seen behind the scenes photos. Travel Tips: Expert tips to help visitors research and plan their travel adventures. Travel Articles: Packed with first-hand information on equestrianism and travel. Travel articles offer readers an escape from the ordinary and provide helpful information. Expert Articles: Tips from experts relating to horseback riding, travel, horse breeds, sports and lifestyle. 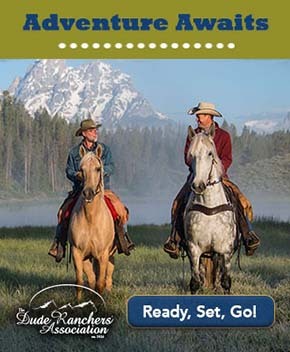 Vacation Guide: An online guide to ranches, resorts, outfitters and destinations with equestrian vacation offerings and horse riding pursuits. Please contact us to receive more information, pricing and statistics. Our team can create a package to fit your buget and marketing goals. Up to 20 second spots are available for broadcast on PBS stations and Create TV across North America. Align your message with our Emmy-winning brand and reach our active, affluent audience. Equitrekking.com: A perfect companion to the show, Equitrekking.com features everything visitors need to research and plan their travels and is regularly updated with fresh content. Equitrekking.com is promoted four times during each episode, including a 15 second call to action. Opportunities: Pre-roll video ads, skyscraper, leaderboard, big and small box ads, wide mid-page ad, feature bar, tiles, text links, banners, logos, photo gallery sponsor, floating ads, advertorial content. Pre-roll Video Advertisements: Advertiser may align their brand with Emmy winning Equitrekking videos. Advertising messages appear for up to 15 seconds at the beginning of video clips on Equitrekking.com. Multimedia (both pre-roll & slide shows) are an ideal forum for advertisers to showcase messages to a highly engaged audience. These clips may also be distributed on YouTube, the iTunes Music Store and social media outlets. Studies have shown preroll ads to be very effective, especially when paired with the right content. Equitrekking Monthly E-Newsletter: Advertiser’s logo, link and recognition plus the option to promote contests, advertiser information and specials. Reach upscale, affluent consumers who love to travel and make your brand part of their purchase consideration. Photo Gallery: One of the most highly viewed areas of the site, the photo gallery can be branded and personalized with a presenting sponsor's message as part of a creative advertising program. Equitrekking.com Vacation Guide: A global guide to dude ranches, guest ranches, cattle drives, resorts, outfitters and equestrian vacation destinations with horseback riding, Equitrekking's searchable Vacation Guide to equestrian vacations is the best way to market your destination online to a targeted audience interested in horses and travel. Not just a listing service, showcase your destination with a beautiful full page with a photo gallery, outbound links directly to your email, website and contact information, in depth information on your vacations and the option to showcase video. Destinations featured in Equitrekking.com’s Vacation Guide gain high quality traffic from visitors who are searching for equestrian vacations.